We’d love your help. Let us know what’s wrong with this preview of Song of a Captive Bird by Jasmin Darznik. To ask other readers questions about Song of a Captive Bird, please sign up. Is there a lot of actual poetry in the book? The storyline is compelling, but I'm not a fan of reading poetry. Sharon Yes there is poetry sprinkled throughout that is beautiful to read and also helps to know the poet better. I won a copy of this book through one of my book groups. I had NO IDEA how good this book would be. This book is inspired by the life and poetry of Forugh Farrokhzad. She was amazing! She went against the grain of what an Iranian woman should be in those times. She was a great poetis, feminist and activist. Thank you to Retro Chapter Chics for getting me involved in this book! I'll never be warm again . . .
-from "Let Us Believe in the Dawn of the Cold Season"
Toward the end of last year I joined the moderator team of the group retro chapter chicks. We take part in a variety of historical fiction and nonfiction history group reads and discussions, and are given an occasional opportunity to review advance reader copies. One such book is Song of a Captive Bird, the debut novel by Jasmin Darznik, an Iranian American literature professor who resides in northern California. Although this book is slotted as a group read in a few months, I was drawn to the p Toward the end of last year I joined the moderator team of the group retro chapter chicks. We take part in a variety of historical fiction and nonfiction history group reads and discussions, and are given an occasional opportunity to review advance reader copies. One such book is Song of a Captive Bird, the debut novel by Jasmin Darznik, an Iranian American literature professor who resides in northern California. Although this book is slotted as a group read in a few months, I was drawn to the pretty color, which lightened up a gray winter day. Combined with a captivating subject matter, I could not resist to read this tale of Iranian feminist poet Forugh Farrokhzad a few months in advance. It is 1950s Iran. Although it is decades before the Khomeini family overthrew the shah and his antiquated form of government, Iran is still an eastern powerhouse country, devoid of many eastern influences. Women do not have to wear a burka that is emblematic with their status today, but their rights were limited nonetheless. Girls were lucky to receive an eighth grade education, and unmarried women and girls could rarely leave their homes unless they were chaperoned by a male relative. Women went from being the property of their fathers to that of their husbands and unless they were fortunate enough to marry a forward thinking person, still were relegated to life within their homes. Forugh Farrokhzad was a rebellious daughter of Colonel Farrokhzad. From an early age she desired more than a life as an obedient daughter turned wife, and was influenced by the extensive library her father kept in their home. Despite receiving only the requisite eighth grade education, Forugh kept up her learning through reading and then eventually writing poetry. What is more, despite the attitude toward women writers during the era, her father initially encouraged her forays into writing. This changed one day when Forugh showed promise as a poet. Coming of age, Forugh thought she found true love in the form of a cousin Parviz Shapour. Her father not knowing what to do with her rebellious daughter, married her off before she brought shame to the family. Shipped off to rural Ahwez, Forugh became the property of Parviz and by extension his mother. She became a prisoner in their humble abode and longed for life back in Tehran. After giving birth to her son Kamyan, Forugh longed for her family only to discover than Parviz had no desire to travel to the nation's capital city. Craving independence from her husband, Forugh turned to writing and had invitations to publish in some of the city's start up intellectual literary journals of the time. Traveling to the capital alone under the guise of visiting her mother, Forugh began to make a name for herself in poetry circles, albeit a scandalous one. As a result, she brought the shame to her family that the Colonel had feared during Forugh's teenage years. The feminist poems which influenced a generation of school girls, but lead to Forugh's divorce from Parviz as he did not wish to be married to a modern woman who did not fit the mold of demure Iranian wife and mother. Equating marriage as bird captive in a cage, Forugh makes a name for herself as a poet and forges a strong female friendship with Qajar heiress Leila Farmayan who becomes her entry into the upper crust of Tehran society. While Darznik has take poetic license in creating this friendship, she uses it as a means to touch on the crumbling Iranian society amidst student uprisings in the later 1950s and early 1960s. The discovery of oil in Iran brought an influx of English and American influences into the country, and, with the arrival of westerners, the desire of the younger generation to enjoy better human rights. Leading to various factions in both the government and society, people lived in constant fear until these student protests quelled. In the midst of this activism, Forugh continued to write poetry volumes, which lead to a meeting and relationship with film director Darius Golshiri. Darznik takes much license in their relationship as well, but uses it to touch on the changing place of women in society. Unfortunately, in a country as Iran, the more things changed especially with increasing western influence, the more men asserted themselves as superior to women. Forugh's place as a poet and later as a film director cemented her place in intellectual circles, but many still believed that men wrote her work and wished her to stop writing. This criticism only encouraged Forugh to continue writing. In her afterward, Darznik writes that when her family fled Iran in 1978, her mother smuggled out two volumes of Forugh's poetry. Seeing this poetry as a child led to Darznik's fascination with the poetess later in life, which eventually lead to her research for this book. She includes translated poems throughout the text including the title poem Song of a Captive Bird. I found the poetry to be more mature than the prose, but felt that the prose flowed well for a debut novel. I myself grew fascinated with Forugh Farrokhzad's life and would be intrigued to read some of her poetry past the selections featured in this novel. Combined with the sensory stimulating cover and feminist poetry, Darznik shows promise as a continuing novelist, and I would look forward to reading her future novels. Audiobook....narrated by Mozhan Marno 5++++stars!!!!! BEAUTIFUL NOVEL!!! ......Historical Fiction doesn’t get much better!!! ......this is a fascinating story about a powerhouse Iranian woman - poet and filmmaker - who died much too young. Author Jasmin Darznik’s impeccable research shows...its ‘clear’ the work she put into this novel. History in Iran came alive.....before and after the revolution - Poety- literature - history-politics - Philoso Audiobook....narrated by Mozhan Marno 5++++stars!!!!! Author Jasmin Darznik’s impeccable research shows...its ‘clear’ the work she put into this novel. History in Iran came alive.....before and after the revolution - Poety- literature - history-politics - Philosophy- abuse- dialogue- the oppression- the setting - the flowers in the gardens - the characters —- EVERYTHING ABOUT THIS NOVEL HAS VIBRANCY!!! .....her controversial poetry became the center of negativity. More disapproval. .....Forugh fought her entire life for justice - self expression - human rights - dignity - and respect. Being a disappointment in the eyes of those around you - closest to you - people who are suppose to love you - time and time again - has got to be debilitating, exhausting, devastating, and forever lonely. Yet this woman kept getting right back up every time she was pushed down. The title of this book couldn’t be any more perfect. I felt empathy and admiration for Forugh. She wasn’t a woman to silence. She knew men had the freedom to express love....yet women were suppose to be modest, and quiet. In an oppressive society for women - being a bright liberated female took an ‘enormous’ amount of courage. FORUGH was daring - brave - courageous - referred to as a poetess- who wanted to be known as a POET!! I have ‘my’ memories of Iran from when I visited in 1973...(Those were the good days)....and I thought OMG back ‘then’. I had no idea how much ‘more’ oppressive the country was about to come shorty after I left. I can’t recommend this book high enough ——-AND THE AUDIOBOOK— ‘PERFECT’! Forugh Farroukhzad was a poet during this time and considered one of the first Iranian feminists. Poetry held a special place in Iran. Men would recite it over coffee at night and poets were held in high esteem. Well, male poets. “There was a strict division between a poet and a poetess. No matter how skillful her writing, a woman was invariably given the feminine moniker.” And that moniker was always defined as something less, something trite. This fictional telling of her short life is a slow burn. Starting with her childhood, she takes up writing poetry to impress her father. Her mother is convinced she’s possessed by a jinn. Her marriage is a disaster and she rediscovers poetry. Her decisions give her the freedom to write but at a terrific cost. Darznik does an amazing job telling the story. Never once did I feel I was hearing anything other than Forugh’s voice. I felt her fear, her despair and her anger. This is a book that will make you angry. I mean really angry. Imagine being told you have to stop yourself from thinking, because it’s thinking that has made you insane. Even the so called “liberal” men sought to take advantage of her and screw her over. As the book progresses it becomes more political concerning the regime. This is a strong book, but a sad one. The addition of Forugh’s actual poetry was a huge plus. For anyone that appreciates historical fiction, I highly recommend this book. My thanks to netgalley and Random House/Ballantine Books for an advance copy of this book. Happy Publication Week to Song of a Captive Bird - available now! The author of Song of a Captive Bird, Jasmin Darznik, is an Iranian-American whose family fled Iran prior to the revolution. Darznik is now a literature professor and spent years researching Forugh’s life. Everything about this book is immaculate. The smooth writing, the on point characterization, the research; it’s all top shelf. Iran in the 1950s and 60s came to life for me; gorgeous settings, interesting culture, and captivating people. Forugh’s story, her life, left an indelible mark on me. Starting with her childhood, we learn that Forugh was expected to be quiet and modest; however, she questioned authority, social mores, the status of women, the roles of women, all starting at a young age. Each time she embraced a challenge head-on, she was pushed back, pushed down, even held captive; but every single time, she rose again. In my lifetime, I’m not sure I’ve heard of a female poet being less than and referred to as a poetess? That was the life and time that Forugh lived in. Her biggest wish was to be referred to simply as a “poet.” Forugh was creative, resilient, vibrant, and vital in pushing forward women’s rights and human rights in her country. Song of a Captive Bird is the perfect title for this book in multiple ways. Oh what an alluring voice Forugh had to share with the world! Historical fiction fans, Song of a Captive Bird gets my highest recommendation! NOTE: This book is $1.99 today March 27 on Amazon for Kindle! “Song of a Captive Bird” is a novel inspired by the life and poetry of Forugh Farrokhzad, an iconoclastic Iranian poet and film director who died in 1967 at the age of 32. A controversial figure, Farrokhzad embodied a new feminism in Iran at a unique time when Western influence surged in Tehran and then ebbed during and after the Iranian Revolution. Darznik takes what is known of Farrokhzad’s life story and embellishes upon those facts NOTE: This book is $1.99 today March 27 on Amazon for Kindle! Darznik takes what is known of Farrokhzad’s life story and embellishes upon those facts to create the narrative of a young woman determined to be free and, in today’s parlance, “live her best life,” free from society’s constraints and judgements. This attitude does not really fly in Iran, a country still caught between its past conventions and traditions and the modern world. I enjoyed the story, although I always feel conflicted about these fictionalized accountings of real lives. Farrokhzad is long dead and much of what was known about her has been suppressed or erased. She is not able to speak for herself so it always creeps me out a little to know that my perception of her will always be colored by what I have read here. On the other hand, I had never heard of Farrokhzad before, so I am appreciative to discover a brave and pioneering woman I knew nothing about. The writing here is good but not stellar - the story is simply told and the characters are not as fully developed as I would like. I’d rate this a 3.5 overall. I’m rounding it up because I appreciated the glimpse of 1940’s - 1960’s Iran and what it was like to grow up in that environment as a young woman hungering to express herself in a way that is not allowed. Forugh Farrokhzad, known simply as Forugh, died in Iran 50 years ago aged 32. Her poetry was banned in Iran in 1979 and her grave is a place of pilgrimage still. At great personal cost, she broke down many barriers to pursue her art - cultural, social and structural. I had never heard of her and was attracted to the book mainly because I enjoy Middle Eastern writing. I don’t think I even realised that it was about a real person. Jasmin Darznik inhabits Forugh’s life so convincingly that 4.5 stars. Jasmin Darznik inhabits Forugh’s life so convincingly that I often had to remind myself that I wasn’t reading an autobiography. By her own admission, she had to invent a great deal because, it is believed, Forugh’s family destroyed most of her personal papers after her death. Although she left Iran when she was 5, the author obviously has access to family and friends who can tell her what life was like during Forugh’s lifetime, ie 1935-1967. During this period, there was a lot of political turmoil in Iran and Forugh was often caught up in it. Her lifestyle was abhorrent to traditional Iranians and it wasn’t until she was in her 20s that she met likeminded people and saw a different side to life than the one in which she’d been trapped. A life that had more possibilities than restrictions. She was immensely brave, if sometimes naive, to make the decisions that she did and to risk so much. Forugh was also a talented documentary maker. I watched some of her film about a colony of lepers, The House is Black, on YouTube and found it very moving. The author has interspersed the text with poems that she herself has translated. On occasions her choice was perfect. Forugh’s poetry is based on her life. I’ll finish with a particularly poignant poem on the loss of her son. at the foot of your cradle. will smart at this painful song. If you read this book, you’ll understand the poignancy of this poem. A solid 4.5 stars from me. In Song of a Captive Bird (a beautiful and perfect title), author Jasmin Darznik is the voice for Iranian poet, Forugh Farrokhzad. Forugh - an influential poet of the 20th century - was notorious for rebelling against cultural norms, especially in her work. Forugh's accomplishments come at the expense of her reputation and family life. In her thirty-two years she has been through so much pain; all she wanted was to be loved for who she was. Darznik captures that and uses her own words to bring that love to Forugh. The book is inspired by Forugh's story and a work of fiction. But, it was written in first person which was interesting to me: I often felt as if I was reading a memoir and had to remind myself that certain story lines and characters may not have been true. It took me a bit longer than my regular reading pace as I had a bit of a slow start, but I wanted to know more of Forugh's story and kept going: I felt like I owed it to her to keep reading on. The beautiful cover of this powerful debut caught my eye and after perusing the summary on the book jacket I was compelled to read and recommend this to one of my book groups. 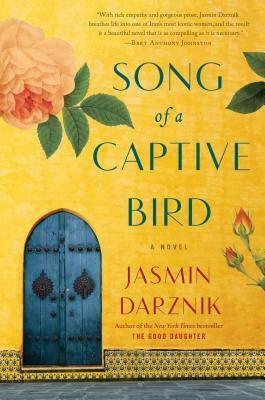 We wanted to focus on strong women and Song of a Captive Bird by Jasmin Darznik fits the bill! This story, based on the life of Forugh Farrokhzad, focuses on a young Iranian girl who as a child pushed the envelope when it came to respectable, traditional, female behavior. She had an interest in poetry, writing at eleven yea The beautiful cover of this powerful debut caught my eye and after perusing the summary on the book jacket I was compelled to read and recommend this to one of my book groups. 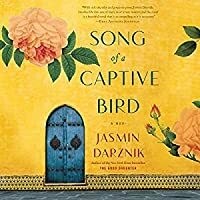 We wanted to focus on strong women and Song of a Captive Bird by Jasmin Darznik fits the bill! This story, based on the life of Forugh Farrokhzad, focuses on a young Iranian girl who as a child pushed the envelope when it came to respectable, traditional, female behavior. She had an interest in poetry, writing at eleven years old to get the attention of her strict father. She was lucky enough to find a friend she connected with who enjoyed the written word as well and she and this young boy secretly met and he exposed her to different writers, but the Iranian culture forbid them to socialize. Her parents locked her in small spaces as a punishment and due to her questionable behavior, they forced her to undergo a virginity test. At sixteen years old her father orchestrated an arranged marriage and the relationship suffered due to unsurmountable challenges. Forugh became a teenage mother, began a clandestine romantic relationship with a powerful man in the publishing business, ran away from her stifling marriage and toward freedom and self fulfillment. Forugh’s passion was to write, and when her provocative, expressive poetry was published, scandalous and smart written words by a woman… it caused a huge uproar. Her marriage had been damaged beyond repair, her parental rights were impacted, her love affair was not all she had hoped it would be, but her quest for independence and creative freedom remained her priority as she changed the world of poetry in Iran and became an icon for feminism. The title, Song of a Captive Bird, refers to Forugh; her poetry is her song and she endures feelings of being trapped by society and the rules preventing women to express themselves, as well as her marriage, relationship with her parents and her lovers, during the 1970s political resistance leading up to the revolution. But in some ways all the characters are like captive birds, trying to conform to societal rules in a suppressed society and being challenged by each other, yet also finding comfort in the confines of what is acceptable. Forugh gave up her marriage and family to find success as a poet, because in Iran she could not have it all. I loved this book along with all the others in my book group. Forugh was a strong, feisty woman living in the 1970s in Iran who was determined to share her creativity with the world, despite the backlash and outrage her poetry stirred up. Although throughout her short life she she didn’t conform to rules for females, cooking and motherhood were not her strong suits, she endured some horrible psychological and physical tortures, suffered unbearable heartbreaks, and many aspects of her life seemed like colossal failures, Forugh persevered and set the bar high when it came to freedom of expression, independence and rights for women. This book is historical fiction based on the incredible poetry and varied life experiences of controversial poet Forugh Farrokhzad whose life tragically ended at age 32. Author Jasmin Darznik draws you in from the very beginning and consistently shocks and amazes you with details of this extraordinary woman’s life, giving you incentive to do some googling! Fantastic debut novel! Song of a Captive Bird is a fictional account of Iran’s most infamous and iconic woman poet, Forugh Farrokhzad. She was a literary sensation, and acclaimed filmmaker, who was both loved and hated within her country. A country she loved and would never leave. The book follows her turbulent life, from her controlled and abusive childhood, though her oppressive teenage marriage, the birth of her son, her passionate literary career, her affairs of the heart and her death in a car crash in 1967. Forugh came of age in the 1940’s and 1950’s, at a time of upheaval in Iranian history. The novels opens one morning, with her mother forcing a bruised and battered Forugh to a clinic in the poorest and dirtiest district of Tehran, the bottom of the city, for a virginity test. It’s an experience which leaves the sixteen-year-old Forugh shaken and forever changed. ‘It was the end of her girlhood and the true beginning of her life’. She begins writing poetry to capture her father’s attention, who at first is amused by his daughters efforts. But as Forugh continues writing her black-eyed father withdraws his support, and he marries her off to Parviz, who rejects her on their wedding night. She is unhappy in the marriage, and in living under the roof of her domineering mother-in-law. Shortly after her son is born she sneaks back to Tehran in an naive effort to have her sensuous poetry published. Her first poem “Sin” is published under her own name, which set off an avalanche of life altering events. Forugh’s character was so well-developed that you can’t help but have empathy for her. You could feel the pain from her father’s kicks, you can feel her dank and sweaty sheets in the hospital, and you could feel her heart racing as she ran from the machine gun spray. This story of Forugh’s quest for independence is both breathtaking and admirable. The writing is beautifully lyrical and captivatingly descriptive. It is a breathless ride that skillfully transports us not only through the story, but specifically to that time in history, and to a house in Tehran with a garden full of lush roses, jasmine, honeysuckle, and dahlia blossoms. Lovers of feminist, literary and historical fiction will appreciate this book about a female poet whose name in Persian means ‘eternal light.’ The author, Jasmin Darznik used Forugh’s poetry, letters and films to create this powerful fictional account of a rebellious but brave woman. Darznik is a professor of English and creative writing at California College of the Arts. She came to America from Iran in 1978 when she was three years old. She is also the author of The Good Daughter: A Memoir of My Mother’s Hidden Life. Publisher Ballantine. Publication Date February 13, 2018. "...it was my preference for books and the world inside my head that left me so incapable of accepting the usual and the ordinary. The more I read, the more I longed to let lose the words inside me." Forugh Farrokzhad is the one of the daughters of Colonel Farrokzhad. Expected to be meek and quiet, devoid of any disobedience, Forugh is the complete opposite. Not wanting the traditional life of a woman in Tehran, Forugh is vocal in her rebellion but it comes at a cost. Married off early to avoid b "...it was my preference for books and the world inside my head that left me so incapable of accepting the usual and the ordinary. The more I read, the more I longed to let lose the words inside me." Forugh Farrokzhad is the one of the daughters of Colonel Farrokzhad. Expected to be meek and quiet, devoid of any disobedience, Forugh is the complete opposite. Not wanting the traditional life of a woman in Tehran, Forugh is vocal in her rebellion but it comes at a cost. Married off early to avoid bringing shame to her family does not deter Forugh from wanting to write. When an opportunity arises for Forugh to have her work published, she goes ahead not measuring the possible consequences. Still that first poem would take Forugh into a life of her own design. Having learned of this work a few months back, I became hoooked first through the cover. The narrative underneath it is powerful. Part biographical, this work follows the Iranian poet Forugh Farrokhzhad. Being born in a culture where women were seen but not heard, Forugh broke the mold. Growing up Forugh always questioned why her brothers had complete freedom while she had to stay inside. Her acts of rebellion were meet with anger and and disdain by her parents. But no punishment could quell her fire. Thinking marriage would tame their daughter, Forugh was married off. I have to admit that poetry is not one of my interests and prior to reading this book, I had no knowledge of Forugh. The prose was very well written. The pace slowly building the life of a remarkable woman. Jasmin Darznik presents an honest and raw portrayal of a woman that was as controversial as she was defamed but ultimately was courageous and truthful. It can not be a coincidence that Forugh was born in a time of turmoil and that certain events line up with her story. The narrative shone a light on Iran while presenting a captivating insight into the life of Forugh. 4.5 stars Very well done biographical novel, depicting Iran’s most infamous/revered female poetess and the upheaval of regimes. The American interference in Iran’s economy, and its influence as well as the tide of rebellion for independence against colonialism is a facet of their history of which I was sorely ignorant. Although a novel, the book seemed almost to be nonfiction, which is a testament to the careful research and very well developed characters. I'd like to thank Jasmin Darznik for her honest description of an Iran we do not often hear about, the Shah's modern Iran. It's restrictions, brutality. Forough Farrokhsad grew up in the Shah's Iran. One can only imagine the courage it took Forough to follow her calling, writing poems, poems that read like a story. Her courage to express herself as a woman, feelings we women experience along our lives. To understand her determination not to be silenced, one has to understand "modern" Iran. Women w I'd like to thank Jasmin Darznik for her honest description of an Iran we do not often hear about, the Shah's modern Iran. It's restrictions, brutality. To understand her determination not to be silenced, one has to understand "modern" Iran. Women were expected to stay at home, silent. To express an opinion was not tolerated, and punished. This is a book which needs to be read widely, by women and men. Even today many of my Iranian friends deny the Shah's regime's brutality, yet thousands left Iran. This speaks volumes on the Shah's regime. Forough pushed herself through all the barriers never holding back her truth...she passed away at 32 killed in a car accident. I will add pictures, poems by Farough an book titles to her poems which are sold today around the world when this book is published. Overall I enjoyed this story. I had to keep reminding myself that this was not an autobiography, it had that feel and I think it worked well. I really like learning about new people I haven't heard of before and not being into poetry, I had never heard of Forugh but I'm likely to never forget her after reading this book. This hist fic story gives us a glimpse into her life and an impressive one for so short a time here. The author's notes in the end brought this one to a wonderful close and I th Overall I enjoyed this story. I had to keep reminding myself that this was not an autobiography, it had that feel and I think it worked well. I really like learning about new people I haven't heard of before and not being into poetry, I had never heard of Forugh but I'm likely to never forget her after reading this book. This hist fic story gives us a glimpse into her life and an impressive one for so short a time here. The author's notes in the end brought this one to a wonderful close and I think made me appreciate the story more so. Thank you to Ballantine Books for an advanced reader copy of this book in exchange for a fair and honest review. I absolutely adored this book and even though it’s 416 pages, I finished it in a day and a half. The story follows loosely the real life of an Iranian poet named Forough Farrokhzad. She was a rebel in a world where women weren’t allowed to be rebellious. She was the embodiment of liberal thought living amongst people who would prefer women to raise families and be obedient. She had a voice in a place where women were told to remain silent. I didn’t know much about her and if you try to Google For I absolutely adored this book and even though it’s 416 pages, I finished it in a day and a half. The story follows loosely the real life of an Iranian poet named Forough Farrokhzad. She was a rebel in a world where women weren’t allowed to be rebellious. She was the embodiment of liberal thought living amongst people who would prefer women to raise families and be obedient. She had a voice in a place where women were told to remain silent. I didn’t know much about her and if you try to Google Forough Farrokhzad, there really isn’t much about her there either. Jasmin Darznik believed the only way to tell the story of this famous female poet was through fiction. By adapting her voice and her thoughts, Darznik was able to bring to life a person who’s very own tragically ended too soon. In the author’s notes (which I strongly encourage you to read), Darznik explains her process and how fiction felt like the only way to tell this story. I couldn’t agree with her more and even though there are some events that are completely fictionalized, you can’t tell where the line crosses. You don’t care if the line crosses because even if it isn’t real, it felt real. Even if what Forough went through didn’t happen, you can see it happening for thousands of women living in Iran during this time period. I had to repeatedly remind myself that this is fiction. This is loosely based on her life and the history of Iran during the 1950s and 1960s. This had some factual evidence, but for the most part, it wasn’t real. But it read so real. Using the first person POV, I feel like Darznik was able to embody Forough for little bit and I was able to hear her story told to me first hand. Even though I was reading words, I felt like I was listening to a story. I sat with my hands grasped at my mouth happy and sad and angry and relieved and eventually heartbroken by the story being told. This book does carry a lot of triggers. There’s a lot of pain and suffering. Even though Forough was considered one of Iranian’s best poets, she had her fair share of tough times. But her strength felt like a solider who kept on fighting. Her poetry was her weapon and the words were her cunning blows. There were parts that made me want to cry while I read about Forough’s lust for freedom. I shook my fists when she was brutally beaten by her own father and when she was forced into an insane asylum. I raged at how women were treated in Iran through the vicarious point of view of our main character. I can probably go on about how lovely the writing is here. Darznik is truly a gifted writer who is able to embody her characters. There were quotes for days in this book. If I could, I would highlight passages that resonated so much to me. The book also includes poems from Forough relating back to the passage you read. Reading her poetry alongside her story was so well thought out and structured. It was like you just witnessed genius happen in front of you. That might be an over-exaggerated statement, but I loved this book. The story of this book is based on the life of the Irani poet Forugh Farrokhzad. Since poetry is not a genre I have any knowledge nor is Iran history I have no idea who this person was. My main problem is that the story didn't add any information I found in Wikipedia about this poet, so if you what recreate her life you may find this read interesting but the facts are not necessarily truthful. Apie garsiąją poetę Forug nežinojau nieko. Knyga mane sudomino ne asmenybe, bet pačia jos istorija. Man visada buvo labai įdomu skaityti apie tas sukaustytas šalis, per puslapius patirti tai, kuo gyvena tikrosios laisvės neragavę žmonės. Dažniausiai - moterys. Atsiranda dar daugiau atjautos, supratimo ir užuojautos. Tad apie poetę, kuri negalėjo rašyti (o mes visi žinom, kad tirkas rašytojas nerašyti tiesiog negali) perskaityti privalėjau. Nuo mažens Forug skyrėsi nuo kitų mergaičių. Ji nesvajojo Apie garsiąją poetę Forug nežinojau nieko. Knyga mane sudomino ne asmenybe, bet pačia jos istorija. Man visada buvo labai įdomu skaityti apie tas sukaustytas šalis, per puslapius patirti tai, kuo gyvena tikrosios laisvės neragavę žmonės. Dažniausiai - moterys. Atsiranda dar daugiau atjautos, supratimo ir užuojautos. Tad apie poetę, kuri negalėjo rašyti (o mes visi žinom, kad tirkas rašytojas nerašyti tiesiog negali) perskaityti privalėjau. Nuo mažens Forug skyrėsi nuo kitų mergaičių. Ji nesvajojo apie vedybas, vyrą, tačiau svajojo apie santuokos privalumus: galimybę dažytis, puoštis, išsipešioti antakius. Iš prigimties ryški asmenybė nemokėjo augti sukaustyti ir suvaržyta Irano tradicijų. Ji, kartu su seserimi ir mama augo tėvo pulkininko namuose, tad drausmė čia buvo šventas reikalas. Tačiau paklusti jai, Forug būdavo iššūkis. Ji dažnai sprukdavo iš namų, rausvindavosi lūpas, nesutikdavo gražiai elgtis, kuomet namuose lnkydavosi potencialių jaunikių šeimos. Pulkininkas mylėjo knygas ir supažindino dukras su garsiais veikalais, tekstais ir eilėmis šlovinančiomis Iraną, Dievą. Tik tokios idėjos, žodžiai buvo vertinami ir spausdinami. Forug patiko poezija, tačiau savąja ji norėjo kalbėti apie tai ką nori, ką jaučia, o ne apie tai ką reikia, ką leidžia. Ir ji rašė. Ir buvo baudžiama. Ir vis tiek rašė, nors dėl to kentėjo. Išsižadėjo pačių brangiausių dalykų, žmonių, sūnaus, bet rašė ir kūrė. "Mine was a country where they said a woman's nature is riddled with sin, where they claimed that women's voices had the power to drive men to lust and distract them from matters of both heaven and earth...Because I was a woman, they wanted to silence the screams on my lips and stifle the breath in my lungs. But I couldn't stay quiet." I love to hear of unheard stories of women who fought bravely for women in history. I just finished Song of A Captive Bird, a new historical novel that chronicles "Mine was a country where they said a woman's nature is riddled with sin, where they claimed that women's voices had the power to drive men to lust and distract them from matters of both heaven and earth...Because I was a woman, they wanted to silence the screams on my lips and stifle the breath in my lungs. But I couldn't stay quiet." I love to hear of unheard stories of women who fought bravely for women in history. I just finished Song of A Captive Bird, a new historical novel that chronicles and honors the life of famed Persian poet Forugh Farrokhzad, whose life and work paved the way for feminism in Iran. Farrokhzad grew up in Tehran in the 1940s and 1950s, married young and had a child, all while she was cultivating her voice in poetry. She soon had an affair, published her poetry, divorced and lost custody of her son. In the end she had to sacrifice almost everything including her life (she died tragically at the young age of 32) to oppose the oppressive ways that women were expected to live in Iran during her times. Her daring life was clearly as compelling as her poetry, which I absolutely loved! Sadly I can’t say the same for this book as a work of literature, but I was riveted by Farrokhzad’s harrowing journey to make a true life for herself as a modern woman and poet. This could have been an incredible historical novel, but there were too many shortcomings including too many lengthy descriptions that didn’t move the story forward and what I found to be a cumbersome writing style and narrative that jumped around and didn’t progress fluidly. Also Farrokhzad’s poetry was dropped in from time to time like a visitor rather than being woven into the story. I felt there was a disconnect between the poetry of the poet and the narrator who was telling the story, though they were both supposed to be the same person! Ultimately, for me, the book never really came alive and was missing a kind of life force energy, or soul, except during the parts where Farrokhzad was committed to a mental institution. The book started to break open midway, but then stalled again. It went through too many crests and troughs and inconsistencies to make it a great book! I felt the novel needed more work and editing to really make it a polished work of literature. Still, the life and work of Forugh Farrokhzad should be honored and I applaud this writer for bringing her tragic and empowering story to light. Farrokhzad bravely fought for the recognition of the lives of women in Iran and gave them a voice. For that reason alone, it’s worth reading. "I'd lost my husband, my son, and, very nearly, my life. All that was left, the one thing that survived, but also the thing that pulled at me most fiercely, was my desire to write." ARC provided by Ballatine Books via Netgalley in exchange for an honest review. This review contains minor spoilers concerning differences between known facts and fiction. Song of a Captive Bird caught my eye on Netgalley. I normally avoid fictionalized accounts of real people. It's a personal hangup, but it makes me uncomfortable when authors make such big presumptions about real people for the sake of fiction. But Song of a Captive Bird covers a time and place often overlooked by books, so I was intrigued. It covers the life of Forugh Farrokhzhad, a famous Iranian poet. I had heard of Forugh but knew nothing about her. "It was a house that turned from the world and cast its gaze inward, a house whose women believed the very walls listened for sin, a house where we whispered the truth or didn't speak it at all." Having read it, I still have mixed feelings. I was surprised to find that the book was written in first person from Forugh's perspective. Again, this is a personal hangup, but it strikes as considerably presumptuous to take such liberties as to imagine the innermost thoughts and emotions of a real person. This probably will not bother most readers though. And to be fair, the author seemed to be 100% motivated by admiration and desire to bring her idol to life. But I have to emphasize to all potential readers that this is FICTION. Indeed, I had to remind myself to think of it only as fiction or I got caught up wondering what Forugh would think of this book. Once I got past that, however, I did mostly enough the novel. Many parts of it were vivid, emotional, and poignant. It is not a book for the faint of heart since it does not sugar coat either Forugh's personal tragedies or the turmoil of her time period. I can't say that I always like Forugh's character but I was still drawn to her story. Some parts were hauntingly emotional and then other parts I felt completely disconnected from. The middle was definitely where my interest wandered a bit. But the book does have a strong, emotional ending. I also liked that translations of some of Forugh's real poems were included. The main thing that kept pulling me out of the story was the heavy-handed foreshadowing that turned into outright spoilers. Darznik often bluntly told exactly what would happen then slowly circled around to how it happened and everything that led to those events. I yearned for a more linear flow that did not jump around so much. It was written with Westerners in mind with definitions of words and terms, explanation of cultural customs, and historical background. There was good historical background without being too much of an infodump. Overall Song of a Captive Bird was a vivid, emotional read despite a few rough bits. I have to emphasize again that this is fiction although hopefully it will inspire people to learn more about both Forugh Farrokhzhad and Iranian culture and history. "Because I was a woman, they wanted to silence the screams on my ligs and stifle the breath in my lungs. But I couldn't stay quiet. I couldn't speak with the voice of a man, because it was not my voice - not true and not my own. But there was more to it than that. By writing in a woman's voice I wanted to say that a woman, too, is a human being. To say that we, too, have the right to breathe, to cry out, and too sing." On sale for $1.99 (Kindle Daily Deal) today! It’s a steal! This is a great story! Song of a Captive Bird is a fictional depiction of the life of Iranian poet and film director, Forough Farrokhzad. She was known for writing poems in a simple, modern style from a woman’s perspective. The novel tells not only the story of her life but it also paints a picture of what life was like for women in Iran during this time period, between 1935 and 1967. Miss Farrokhzad was a woman too modern for her time and On sale for $1.99 (Kindle Daily Deal) today! It’s a steal! This is a great story! Miss Farrokhzad was a woman too modern for her time and her country and she led a controversial life. She was divorced and had her son taken away from her by her ex-husband. She was committed to a mental institution because she expressed passion and lust in her poems and also because she desired the same freedoms as men. Passion and lust were something women were not allowed to feel, to speak, or even think. Women had no control over their fates. It seemed that they were confined to the house when they were little girls. They were told who to marry. The mother arranged the marriage but it was the father that had the final say. Their husbands could divorce them and cast them out for any reason they deemed appropriate. They could take another wife if it suited them. And all of this was during a time of modernization and Westernization in Iran. I had never heard of Forough Farrokhzad prior to reading this novel but I found her story and the Iranian culture very interesting. It’s remarkable that she was able to live the life she did and unfortunate that she came to such an early demise. She was only 32 when she died in a car crash. I really enjoyed this book. I love that bits of Forugh Farrokzhad poems are peppered throughout the book to mark important points and changes in her life. It was a small taste of her work but I was blown away by the raw authenticity of her words that connected with me. After reading this novel I'm extremely interested in her reading translations of her work. An incredibly thoughtful, artistic, and well-documented book about the life of the famed Iranian poet, Farugh Farrokzad, by an Iranian-American author who still has roots in Iran. Farugh's poems live on today despite their banishment in Iran, and Farugh's notorious reputation. I could not put this book down from the minute I began reading it. I was enthralled with the story (some fiction, some non-fiction) and the author's honest writing, which gave a truly modern picture of Farugh's carefree, b An incredibly thoughtful, artistic, and well-documented book about the life of the famed Iranian poet, Farugh Farrokzad, by an Iranian-American author who still has roots in Iran. Farugh's poems live on today despite their banishment in Iran, and Farugh's notorious reputation. I could not put this book down from the minute I began reading it. I was enthralled with the story (some fiction, some non-fiction) and the author's honest writing, which gave a truly modern picture of Farugh's carefree, but troubled life. Throughout the book, the volatile history, as well as the beauty and modernity, were described in rich detail giving the reader a true taste of Iran and its people. A beautifully written account of a very creative woman who made her way on her own terms, despite living in a closed society where women had very few rights. I believe that Farugh should have been born during a much different era. I really enjoyed this debut novel! It's wonderful when I learn something new about another culture and (in)famous person from a country extremely different from my own. I listened to the audio version of this book, and it was fantastic! Highly recommend! A well written and thought provoking fictionalized account of Iranian poet Forugh Farrokzhad. what should I say to my weeping child? I'll destroy everything around me. In writing about Forugh, I wanted to go beyond what was outwardly known about her – what could perhaps ever be known about her, given not just the reticence of those who'd been close to her but the fundamental inscrutability of the human personality. I wanted to imagine what it felt like to be the woman writing those astonishing poems. To be the woman who created herself by writing those poems. And to do this I embraced the unique power of fiction to illuminate the past. Because I was a woman, they wanted to silence the screams on my lips and stifle the breath in my lungs. But I couldn't stay quiet. I couldn't pretend to be modest or pure or good. No. I was a woman and I couldn't speak with the voice of a man, because it was not my voice – not true and not my own. But there was more to it than that. By writing in a woman's voice I wanted to say that a woman, too, is a human being. To say that we, too, have the right to breathe, to cry out, and to sing. I'll take it as fact that Forugh Farrokhzad was born in 1935, grew up in Tehran as one of seven children of a strict Colonel from the Shah's Guard, and despite some official efforts at modernisation (Western-style dresses, the banning of veils, the introduction of electricity), Iranian society retained an iron grip on its girls and women. Forced to leave school younger than her brothers, a brutal virginity test, given away in marriage at sixteen: Forugh apparently had little agency in her father's house. I don't know if it really was an extramarital affair that led Forugh to write the poem “Sin”, but this is the verse – an expression of sexual desire from the point-of-view of a woman – that is said to have scandalised the local literary scene and led to the breakdown of Forugh's marriage. Now free to relocate back to Tehran from the hostile backwater of her husband's hometown, Forugh devoted herself to writing poems that would revolutionise the form within Iran and document both her personal experiences and the government brutalities that she witnessed. I was fascinated by the idea of Forugh being committed to a mental asylum for her writing, and while Darznik's narrative of this time wasn't particularly evocative, I would love to know if Forugh actually found her file and the doctor's notes that state she “indulges delusions of pursuing a literary career and shows no insight into her present condition or the consequences of her actions for either herself or her family...The clinic has obtained copies of the patient's writings, and upon careful review these documents support the conclusion of a disordered mind.” When Forugh is eventually released, she meets the filmmaker Ebrahim Golestan (given the pseudonym Darius Golshiri in the book for some reason), and he becomes her lover and her mentor, freeing the poet to employ her artistic voice in a new medium, for which she won acclaim. Tragically, Forugh died in a car crash at 32 years old (an accident according to Wikipedia; painted as an event more sinister in Darznik's account). Except for what I'd written in my poems, in the end no one knew the truth about my death and no one knew the truth about our lives. Song of a Captive Bird is the fictionalised account of the life of the late Iranian poet and filmmaker Forugh Farrokhzad. Forugh Farrokhzad grew up in 1940s/50s Tehran, where girls were encouraged to be quiet and obedient, neither of which were traits Forugh possessed. The story tells of her early marriage, her confinement in a mental asylum and the scandal and disgrace that befell her as a result of her bold and frank poetry, as well as her liberated lifestyle choices in an oppressively conserv Song of a Captive Bird is the fictionalised account of the life of the late Iranian poet and filmmaker Forugh Farrokhzad. Forugh Farrokhzad grew up in 1940s/50s Tehran, where girls were encouraged to be quiet and obedient, neither of which were traits Forugh possessed. The story tells of her early marriage, her confinement in a mental asylum and the scandal and disgrace that befell her as a result of her bold and frank poetry, as well as her liberated lifestyle choices in an oppressively conservative country. She certainly suffered a lot of personal hardship in pursuance of her art. I loved this book. I thought Forugh's story was told with compassion and warmth. I loved the way snippets of her poems were interspersed within the book. Darznik's fascination for her subject shone through at every stage, and I can't help but want to read more of Farrokhzad's poetry after reading this book. I recall in 1979 the first time I had heard of the country called Iran. From that first day I heard the words spoken, it would be many consecutive days that I would hear phrases that shaped my small understanding – The Hostage Crisis, The Shah of Iran, Ayatollah Khomeini. There were images that crossed the television screen – Young male college age students, blind folded Americans, large crowds gathered around the American Embassy. This was the Iran I knew of. This was my view of the country. I I recall in 1979 the first time I had heard of the country called Iran. From that first day I heard the words spoken, it would be many consecutive days that I would hear phrases that shaped my small understanding – The Hostage Crisis, The Shah of Iran, Ayatollah Khomeini. There were images that crossed the television screen – Young male college age students, blind folded Americans, large crowds gathered around the American Embassy. This was the Iran I knew of. This was my view of the country. I was young, Middle School aged, so my interaction was left to that of a typical pre-teen. "I’ll greet the sun again. How much are you willing to give for your freedoms, your liberty, your independence, your ability to live life on your terms? This was a feel good book about creating your own mark in the world and leaving the world a much better place. When asked," Do you think there's anything I can do? Forugh responded with Because I'm a woman is that why? When confronted with hurdles she not only crushed her competition she ran with the sword proclaiming her peace while altering the views of woman for decade How much are you willing to give for your freedoms, your liberty, your independence, your ability to live life on your terms? When confronted with hurdles she not only crushed her competition she ran with the sword proclaiming her peace while altering the views of woman for decades to come. So much so her work was banned and became difficult to locate much less read. Sadly many victims of abuse face similar fate being locked up in psych wards simply for being authentic. She was told she had mental defectiveness, delusions of pursuing literary career, high strung, arrogant, all after having left her spouse and child who she later lost in a custody battle with Parviz. Inspired by Forugh Farrokhzad as poetess and as an Iranian Literary author who captured the essence of tenacity, courage, and the will to survive. When I first seen the title I assumed it would be about the flight of a woman trapped unable to free herself until something or someone propelled her forward perhaps even resting on her own merit. However, this was so much more in it's historical aspect from Tehran in the early 50's involving the Revolution, the Assasinations, the desire for women as feminist to revolt while creating their own destiny. This had all the makings of a great story but it fell short for me in the middle when the historical aspect was discussed during the time when Forugh would've been nearing the later twenties with her new relationship with producer Darius Golshiri. Her poem entitled , "Sin" was her most famous showcasing desire from a woman's perspective. The loss of human rights, democracy, censuring without accounting for meaning, and lack of boundaries created a fire storm. In all regards Forugh was bold, daring, adventurous, rapturous, furious, determined, unfettered, direct and sure as hell did things her way without apology. Survival in a hostile world , love affairs that not only freed her but entrapped her, conflicting roles both in family and career wrap this one up in beauty and harmony that many modern day women can relate too. "Remember its flight" "For the bird is mortal". I enjoyed this read but felt it was lengthy and fell short midstream. I would love to read more by this author in the near future. Thank you Jasmin, NetGalley, and Aldiko for this E-read. 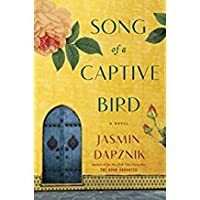 Jasmin Darznik is the author of the debut novel Song of a Captive Bird, a fictional account of Iran's trailblazing woman poet, Forugh Farrokhzad, as well as the New York Times bestseller The Good Daughter: A Memoir of My Mother's Hidden Life. Her books have been published or are forthcoming in sixteen countries. Jasmin received her MFA from Bennington College and PhD in English from Princeton. She Jasmin Darznik is the author of the debut novel Song of a Captive Bird, a fictional account of Iran's trailblazing woman poet, Forugh Farrokhzad, as well as the New York Times bestseller The Good Daughter: A Memoir of My Mother's Hidden Life. Her books have been published or are forthcoming in sixteen countries.